The best lead generation campaigns contain four crucial elements a marketer or marketing agency needs to generate leads. These four include the offer, the call-to-action, the landing page and the form. If you have a weak link in anyone of these parts then you may not be generating leads or converting leads as efficiently as you'd like. To make sure each of the four elements bring you success. 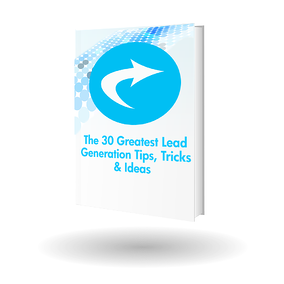 Here is some more information on each part of the lead generation process. ebooks, whitepapers, free consultations, downloads and case studies. The key to getting someone to download the offer is to make it desirable or valuable. This will overcome a lead's typical hesitation, resistance or concerns. So how do you make an offer that is irresistible? Limited time offers are one of the most popular ways to create urgency. Get it now before time runs out. Limited Offers refers to something that is limited in quantity. Get it now before quantities run out. Again it creates urgency. Anytime you turn on a TV you can see examples of this in a commercial. But to see an example in real-time action you can turn on any home shopping channel like HSN or QVC. They all use the same techniques when selling their goods. You'll notice either a countdown clock or quantities left counter on their graphics. In both cases they're trying to create a sense of urgency to get you buy the product before quantities or time runs out. offer more valuable is to show that other people are participating in that offer. of technique and it works very well for offers, too. Even though we know we shouldn't, people still do judge a book by it’s cover. If your offer is a piece of content, such as a white paper, ebook, or presentation, put effort into creating an amazing title. These are jargon terms and phrases that have been over-used and abused rendering them meaningless. These are just a few tips that can help you achieve the goal of creating quality and effective leads. If you want more suggestions be sure to download our new E-book.